Equally at home on the concert platform or in the orchestra pit, Matthew Wood is a conductor of great versatility, regularly conducting symphonic, opera, ballet and new music repertoire throughout the world. In the United Kingdom Matthew has worked with many leading orchestras including the London Philharmonic Orchestra, Philharmonia, Royal Liverpool Philharmonic Orchestra, BBC Philharmonic and with the Royal Ballet Covent Garden. Matthew also held the position of Associate Conductor with the Bournemouth Symphony Orchestra. Matthew has also made numerous appearances outside the UK, being a regular guest conductor with the RTE National Symphony Orchestra of Ireland, the Orquesta Sinfonica Nacional de Chile, Orquesta Clasica Santa Cecilia Madrid and the Brasov Philharmonic Romania. In 2016 Matthew made his Swedish debut with performances of Philip Glass’ Satyagraha with Folkoperan Stockholm and returns to the company in 2017 and 2018. In 2018 Matthew will conduct further performances of Satyagraha in Copenhagen at Folketeatret – Copenhagen Opera Festival and at the Brooklyn Academy of Music (BAM) New York. 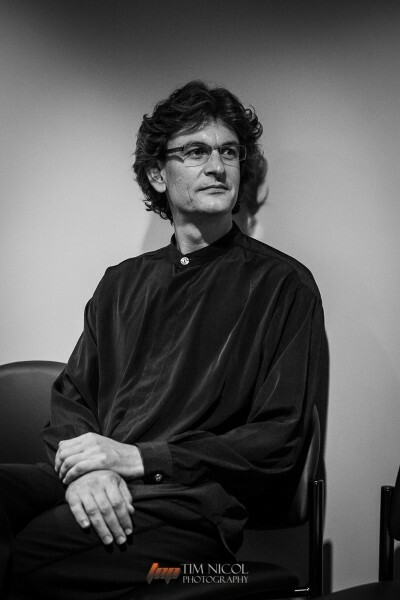 In Australia Matthew held the position of Artistic Director and Chief Conductor with the Darwin Symphony Orchestra (2013-2018). He has also conducted many of Australia’s other leading ensembles including the Melbourne, Tasmanian and Queensland Symphony Orchestras. Matthew is a keen advocate of new music, regularly commissioning new works, including recent Australian commissions/performances of Ross Edwards, Iain Grandage, Lachlan Skipworth, Matthew Hindson and Elena Kats-Chernin and is regularly engaged by new music ensembles such as Halcyon. He is also in demand as a conducting teacher and is a regular guest lecturer and conductor at the Royal Northern College of Music where Matthew held the coveted position of Conducting Fellow. During this time he was selected to conduct the London Symphony Orchestra, as part of their conductor discovery series, and received tuition from conductors Sir Mark Elder and Sir Colin Davis. Matthew completed his undergraduate music studies, graduating with first class honours at the University of New South Wales, majoring in composition. He then undertook postgraduate conducting studies at the Sydney Conservatorium before concentrating his studies under renowned conductor pedagogue Jorma Panula.